EMERGENCY CARE Emergencies can occur at any time. Please call 987-2000 and an operator will contact one of our doctors or help refer you to alternative providers. Having a relationship with this clinic ahead of time is very helpful and we encourage you to be prepared to travel to referral facilities if necessary. In any emergency, seconds count. Our experienced staff is backed up by our mobile resuscitation unit, stocked and equipped to administer the ABCs of basic life support – Airway, Breathing, Circulation/Cardiac compressions. Emergency care is offered during regular business hours. In addition, we respond to emergencies as quickly as possible or refer you to emergency hospitals for special circumstances. 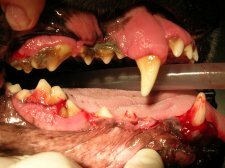 Regular professional cleaning is critical to maintaining your pet's teeth and overall health. We use the exact same instrumentation and technology that your dentist does to clean each tooth thoroughly --above and below the gum line. Dental technicians polish teeth to create a smooth, lustrous tooth surface that is more resistant to plaque buildup. Fluoride treatments help strengthen the enamel and reduce tooth sensitivity. Doctors provide advanced dental care and diagnostics, including tooth extractions, and dental x-rays. We are proud to offer a drug free, surgery free, non-invasive treatment to reduce pain, reduce inflammation, and speed healing. 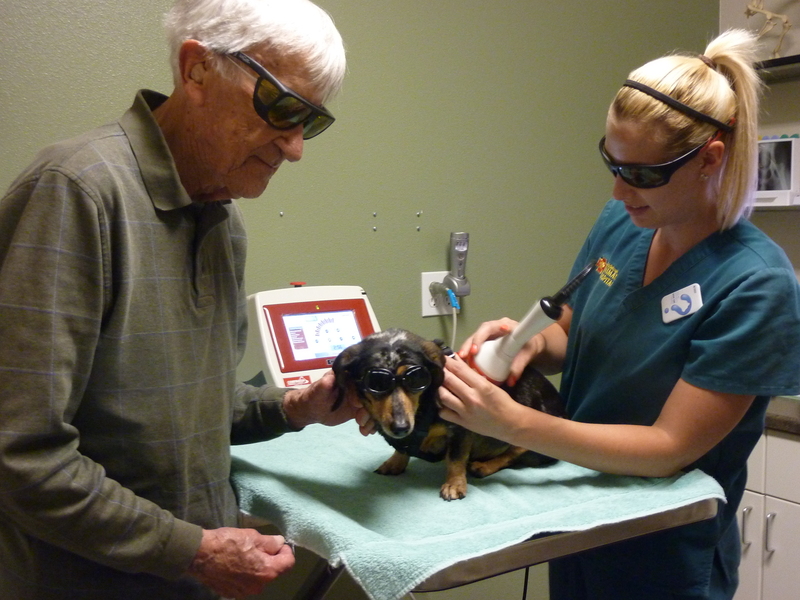 Class IV deep tissue laser therapy uses a beam of laser light to deeply penetrate tissue without damaging it. Laser energy induces a biological response in the cells and is scientifically proven to be successful in treating post-surgical pain and may acute and chronic conditions such as wounds, allergies, infections, cuts, sprains, lick granulomas, tendonitis, arthritis ,otitis, and more. Lasers are a minimally traumatic alternative to traditional surgery. Lasers replace scalpels and scissors in many procedures, and are useful for a wide range of surgical conditions. Laser procedures result in less pain, less bleeding, and less swelling. They reduce the risk of infection and result in much less post-operative discomfort. This non-invasive, state-of-the-art technology uses sound waves to painlessly examine specific internal organs, primarily the heart and abdominal organs. 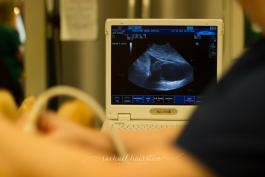 Pregnancy examaminations are also available. 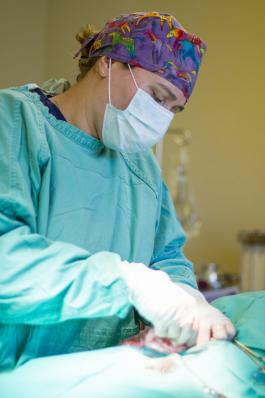 Dr. Smith has completed a fellowship in abdominal ultrasound at the UCD Veterinary Medical Teaching Hospital, and has a special interest in this area. 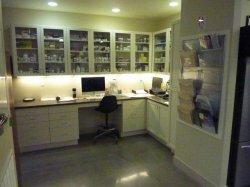 We offer the most advanced surgical techniques and technology. All patients are carefully screened(physical exam, blood tests, and EKG) for safety, and anesthetics are specifically tailored to your pet. Surgical services and facilities include: veterinary surgeon; fully trained veterinary and technical staff; laser surgery, radiosurgery, electrosurgery; heated surgery tables and recovery cages; advanced gas and steam sterilization techniques; positive pressure ventilation; respiratory,heart, CO2 and oxygen saturation monitors; intensive after surgery care and full blood testing. We strive to prevent illness whenever possible. The time and effort invested in wellness programs has rewards for both pets and owners. Pets age about 7 times faster than humans, so yearly check-ups are crucial. Our wellness programs are comprehensive and include: Complete physical examinations with Tonopen, EKG, stethoscope, ophthalmoscope, otoscope, and disclosing solution; internal parasite testing; heartworm, mite, tick, and flea control; immunization programs; spay and neuter packages; dental care; senior and geriatric care; and specialized blood tests (including leukemia, AIDS, heartworm, and lyme disease) for all life stages. Radiolographs--or x-rays--help our veterinarians evaluate musculoskeletal, cardiovascular(cardiopulmonary), gastrointestinal, reproductive and urinary tract systems. 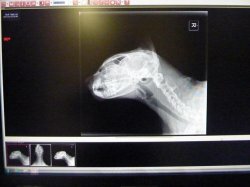 We provide on site digital radiography, and interpretation to aid in rapid diagnosis and trreatment of your pets' problems. In addition, we provide specialized digital dental radiology just like a human dentist. 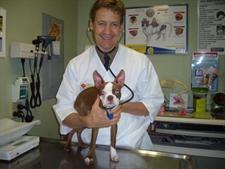 Veterinary patients feel pain and discomfort under the same circumstances as people do. 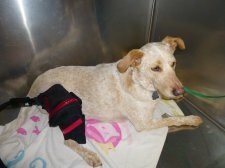 We know that recognizing and alleviating pain in animals is the essence of good patient care. We provide pre-operatve, intra-operative, and post-operative pain control to speed recovery and return to normal function. In addition, we promote the use of laser surgery to minimize the pain, bleeding, and swelling associated with invasive procedures. Specific and non-specific medical problems form the majority of our case load. We cover all areas of internal medicine, including: Cardiology; Ophthalmology; Neurology; Dermatology; Gastroenterology; Urology; Oncology; and Endocrinology, among others. Referrals to specialists are available as needed. Illness doesn't always have a physical cause. We are trained animal behaviorists who can help you determine the cause of such disorders as separation anxiety or obsessive behavior. We then develop a treatment regimen, both behavioral and medical, for that problem. Proper and regular physical therapy is a crucial step in the healing process after surgery. Jeffrey Smith, DVM, CCRP trained extensively for a year and was certified as a Rehabilitation Practitioner in 2014. Middletown Animal Hospital has expanded our facility to offer needed services for Pet Physical Therapy and Rehabilitation. 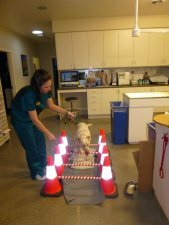 We are the only veterinary hospital in Lake, Mendocino, Napa & Sonoma Counties to do so. Some pets require special food, and all pets benefit from an excellent diet. Our trained and certified staff is available to help you choose the right diet for your pet to keep him or her happy, healthy and active. A premium diet can make a huge differnece in your pets' health while only costing a few pennies more per day. It really is one of the cheapest medicines and best values out there for your four-legged friends. We stock a wide range of the best veterinary drugs in the animal healthcare field. These include theraputic as well as preventative medicines that deliver the highest quality and best convienience available. Don't assume that online pharmacies are cheapest. 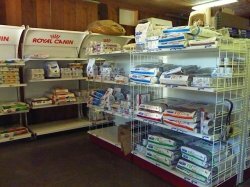 We are often time already less expensive and if not, will match PetMeds price. Our two ambulatory trucks responds to house calls if you are unable to bring your pet to the clinic. 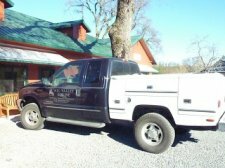 These trucks are fully equipped for horse care, but can provide limited services and transportation for small pets. Microchips have helped reunite thousands of pets with their families because they are permanent, unique, and traceable. Chips can be implanted during an office visit or while having another surgical procedure--we simply inject the tiny chip through a needle under the skin. We offer the most widely used microchip products to increase the chances of a safe recovery. Of course, we also provide name tags and recommend their concurrent use. We have access to a supply of blood for dogs and cats in case of emergency. The blood is collected from donor pets that live with their owners, and all blood is carefully screened for disease. In addition we have synthetic blood products, hetastarch, and crystalloid fluids for fluid replacement and maintenance. Just like human hospitals, these products are delivered through IV Infusion Pumps. 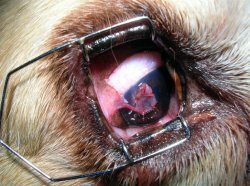 Our veterinary surgeons are able to perform ear and eye surgery, laser surgery, cryosurgery, and orthopedic surgical procedures. 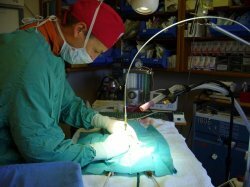 Knee repairs, C-sections, intestinal blockages, spleenectomy, foriegn body removal, gunshot wounds, cancer removal, and hernia repairs just to name a few. 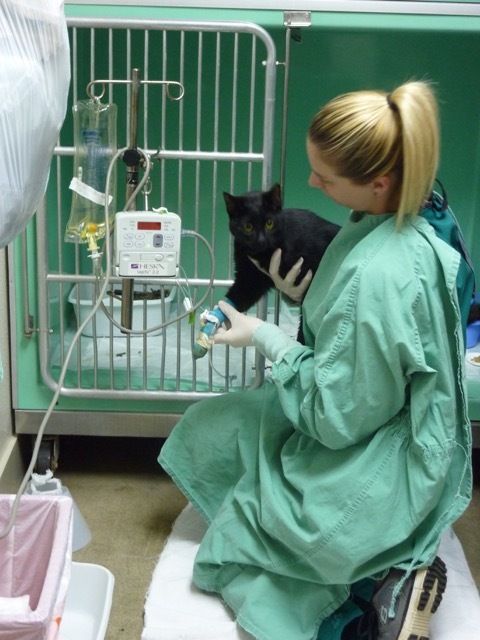 Veterinary medicine for exotic pets is growing as the popularity of these animals increase. With better public education in health, nutritional and environmental management, all species have a greater chance for living longer and healthier lives. 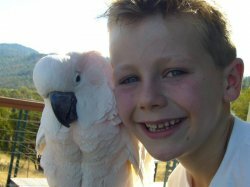 We have experience in the care and treatments of small mammals, reptiles and birds. We even have 2 of our own Cockatoos that live at the clinic, Polly and Chipper. Saying goodbye to a long-time friend is painful. 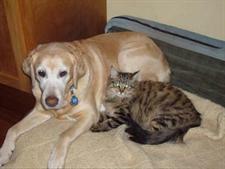 We work with clients to ensure their pet's comfort and dignity. Services include taking care of the remains as directed by the client. Our "Comfort Room" with a couch, coffee table and chair provides the feeling of home instead of an exam room. 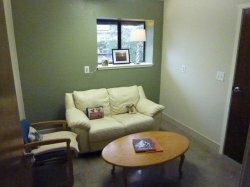 Clients are free to spend as much time as they want in this room saying goodbye to their furry friend. Our knowledgeable staff takes extra caution in dealing with potential contagious diseases such as Canine Parvovirus, Feline Leukemia & FIV, Kennel Cough, Mange, Feline Panleukapenia, and any condition of unknown or suspicious origin. We have a separate Isolation Room in the hospital where these animals are treated and disease prevention practices are used.